Dandelion Leaf is generally considered a noxious weed but is actually one of the most useful of all herbs and all the parts can be used. It is the safest and most active plant diuretic with numerous scientific studies done on its efficacy. 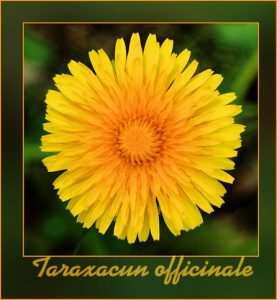 In one study it was indicated that dandelion exerted a diuretic activity comparable to that of Furosemide (a pharmaceutical diuretic). However, the benefit of Dandelion is that it contains high levels of potassium which is leached from the body through diuresis (a potential side effect of pharmaceutical diuretics). Active Constituents: Root: bitter principle taraxacin, triterpenes (incuding taraxol and taraxasterol), sterols, inulin, sugars, pectin, glycosides, choline, phenolic acids, asparagine, vitamins, potassium Leaves: lutein violaxanthin and other carotenoids, bitter substances, vitamins A, B, C, D (the vitamin content is higher than that of carrots), potassium and iron. Contraindications: This plant is thought to be extremely safe and is considered safe even in large amounts. No toxic or adverse effects have been reported.